This indicator depends on the variety of ways which NetBet Casino offers his clients to contact customer support and the speed with which it solves a problem, as also the overall customer experience. The reputation rating of NetBet Casino is based on its popularity in online space - comments, user ratings on other sites, and social networking likes. DOUBLE your money on your 1st Deposit by Netbet casino up to £200 in bonus cash. 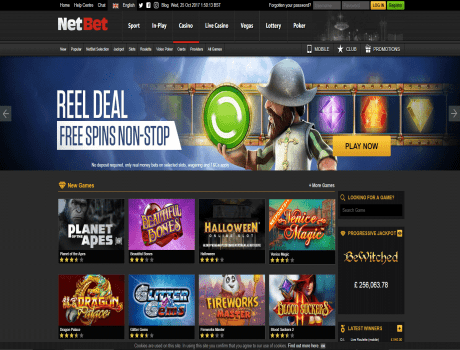 Log in to your NetBet Casino account, open the cashier and make your first deposit (any amount) and accept your pending welcome bonus under 'Offers available' in the Bonus section. Netbet payment partners Skrill (MoneyBookers) and Neteller are not participating in this offer. Casino deposits carried out using these payment methods will in no way be eligible for the welcome bonus.